Hello from Vancouver! I was awarded a visit grand from the Norwegian Research Council in relation to the REGIMES project for a short stay at University of British Columbia UBC), Canada. The main objective of this short visit is to closely work with Dr. William Cheung and his team, especially research associate Dr. Vicky Lam to assess marine ecosystem goods and services and their changes in relation to climate change in the Norwegian Arctic region as part of WP1. By applying the Dynamic Bioclimate Envelope Model (DBEM), we will predict the distribution and abundance of fish resources caused by climate change and ocean acidification based on recent IPCC climate projections. Then we will assess the social-economics of fisheries and their changes by including fishing vessel dynamics, fishing cost, investment and market. The research is progressing, slowly but surely. The preliminary results for cod fisheries, the most important fishery, was presented in NAAFE, March (see my blog about NAAFE). Hopefully at the end of my stay, we are able to get the most fisheries done. 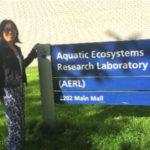 I came to UBC in March and have been working since then with Dr. William Cheung at the Institute for Oceans and Fisheries (IOF) of UBC (where I got my PhD). Dr. Cheung is leading the Changing Ocean Unit and the Science Director of Nerus program (http://oceans.ubc.ca/william-cheung/). The IOF-UBC is the world well known research Centre for fisheries (one of the best in the world), where people have been doing amazing research in both academic and policy-related fronts for fisheries conservation. The research environment is very dynamic, creative, open and inspiring. I have been invited for seminars and group meetings and heard a lot of new ideas. I have been benefiting a lot since I came. We have come up some ideas for a couple of papers. Hopefully we will have more collaborations in the near future. I am so happy to be back and really enjoying working here with them. 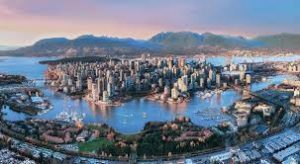 UBC is located at Vancouver, the west coast of Canada, one of my favorite places in the world. It is another home for me. It feels so good to be surrounded by families, friends and colleagues whom I can work closely and have fun together. TOP Picture: Yajie beside the AERL building where I work. ← Previous Previous post: REGIMES in Mexico! Next → Next post: The Snow Crab drama continues….